Hippity Hoppity Easter’s on its way! Today on Indy Style, The Produce Moms founder Lori Taylor shared easy and festive Easter recipes to get you prepared for the holiday. Each of these recipes can be made ahead of time, so you can enjoy Easter Sunday with your loved ones instead of frantically cooking in the kitchen. 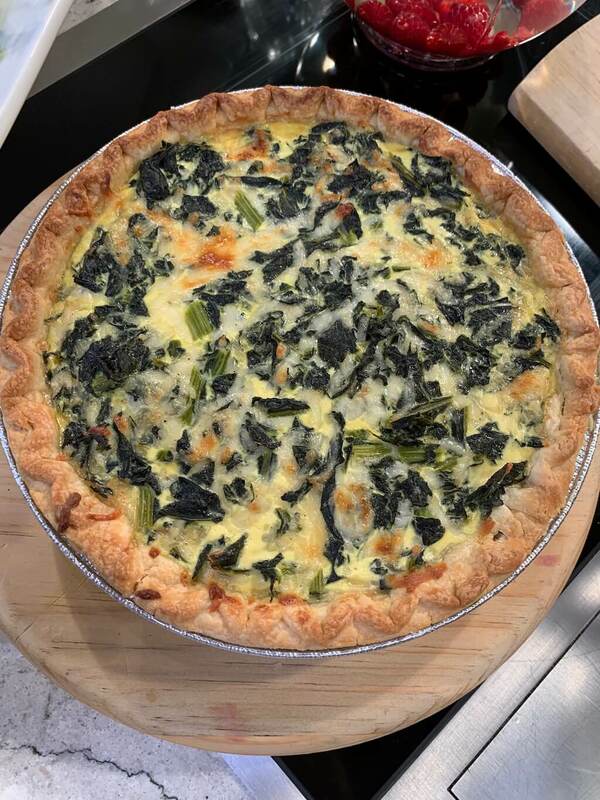 Salad Savoy Garden Quiche is a beautifully sophisticated dish, that also happens to be delicious! It’s perfect for Easter brunch. Surprisingly, it actually quite easy to make! Place the Salad Savoy® and water in a large soup pot. Cover, and cook over medium heat for 10 to 15 minutes, or until tender. Drain, let cool, and drain again, squeezing out any excess water. In a medium bowl, beat the eggs and half-and-half until well combined. Add the Monterey Jack cheese, Swiss cheese, Salad Savoy®, onion powder, nutmeg, salt, and pepper; mix well then pour into the pie crust. Bake for 40 to 45 minutes, or until firm. Let sit for 5 minutes then cut into wedges and serve. 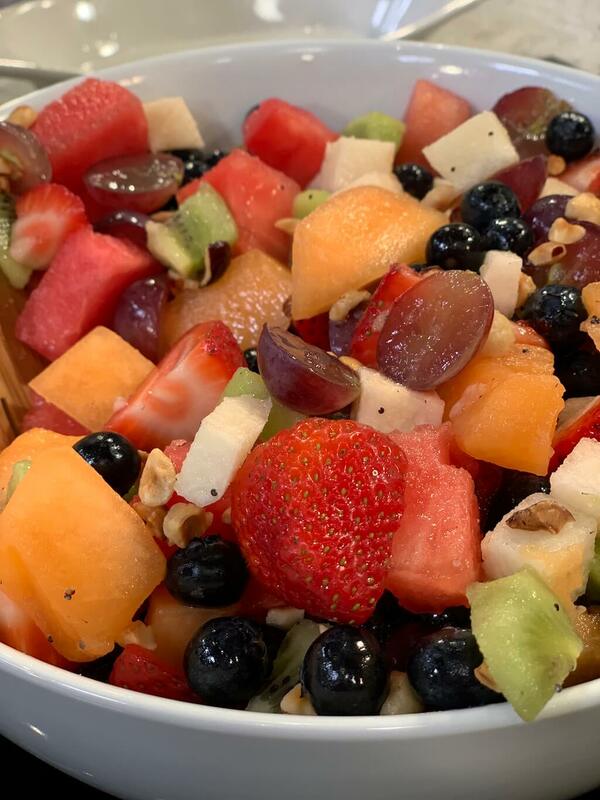 *Recipe courtesy of Salad Savoy Corp.
Fruit and herb infused water is a great way to bring color to your Easter table. It’s also an easy way to get kids (and adults) excited about drinking water. 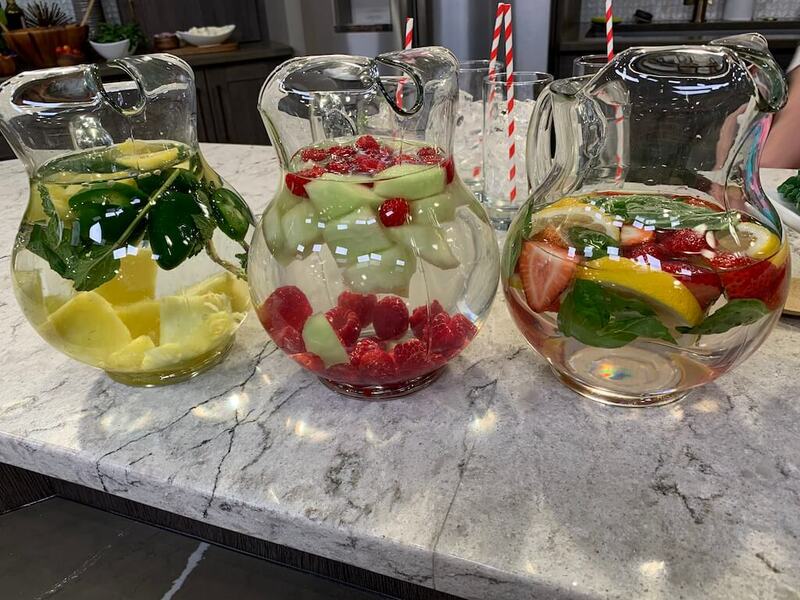 The Produce Moms was recently featured on Martha Stewart to discuss school initiatives using infused water as a way to get kids to stay hydrated. View the article here. Wash, clean fruits, veggies + herbs. Add produce and herbs to a pitcher. Refrigerate for a couple of hours and then enjoy! Note: The longer the water infuses the more flavorful it will be. Get more infused water ideas & tips plus view a helpful infographic here! 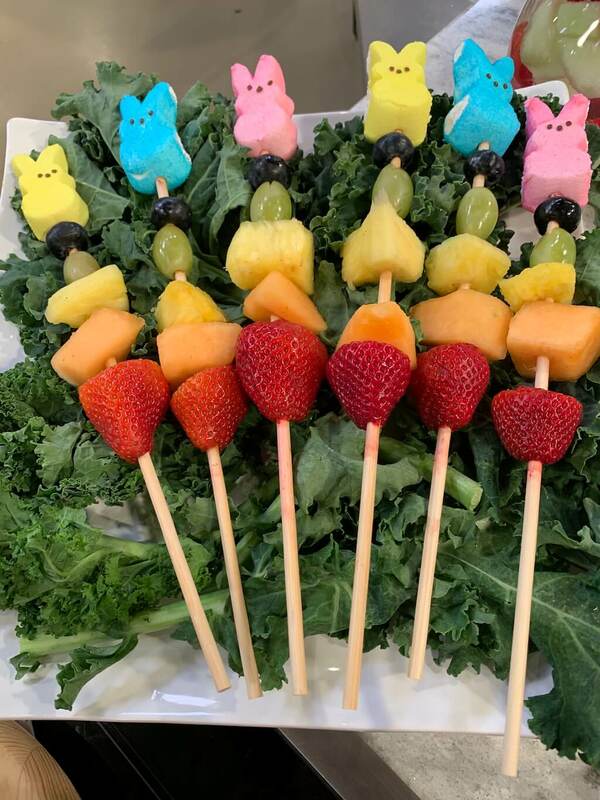 These Fruit Skewer Peeps make an adorable centerpiece for your Easter table. And the best part? It’s edible! Of course, kids are drawn to these festive fruit skewers but adults can’t resist them either. Be sure to choose for Naturipe berries for these skewers. Naturipe is dedicated to growing the very best berries while also making sustainable practices a top priority. Learn more about Naturipe Farms here. Place fruit on skewers, leaving about 2.5″ of space on the end of each one. Wet the tip of each skewer with water and then gently slide an Easter Bunny Peep to the end of each skewer. Display in a vase or on a platter. This salad can be made ahead which is always a benefit, especially when you plan to serve it on a busy holiday. But even if you wait until Easter morning to prepare it, you’ll find it only takes a few minutes. Dump all the ingredients in one bowl, toss, and top with hazelnuts. It’s as simple as that! In a large bowl, mix the jicama with orange and lemon juices, poppy seeds and sugar. Add the rest of the fruit and toss. Top with the hazelnuts and serve. This is our founder’s very favorite recipe on The Produce Moms site! It’s vibrant and full of flavor. Like the Hazelnut Fruit Salad above, it can also be made ahead to save time. Drain pasta & set aside to cool. 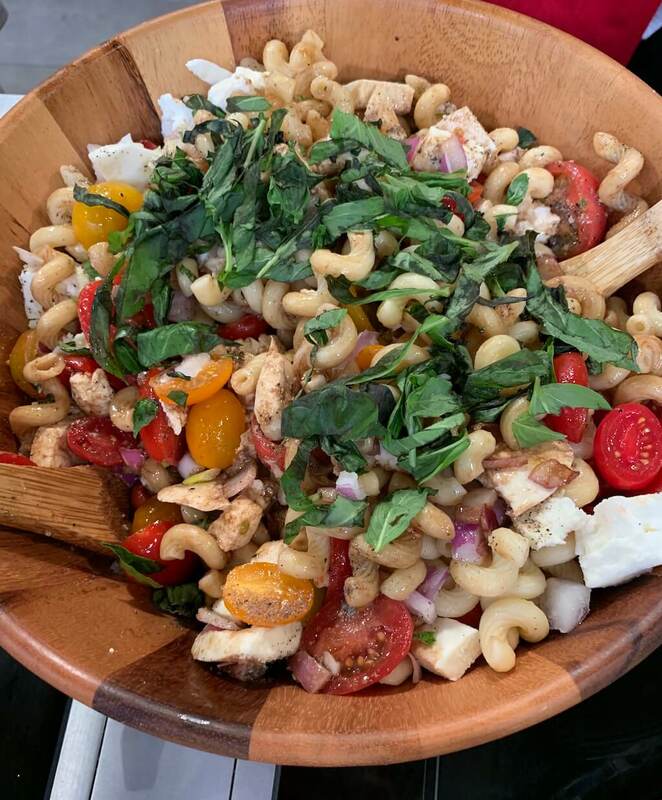 When pasta is cool, toss with diced onion, tomatoes, fresh mozzarella & basil. Pour the balsamic vinegar and extra-virgin olive oil over the mixture and toss until evenly coated. Chill in refrigerator for 30 minutes before serving. Happy Easter from everyone at The Produce Moms! Share your favorite Easter recipes with us below. We’d love to know what you’ll be serving this Easter Sunday.